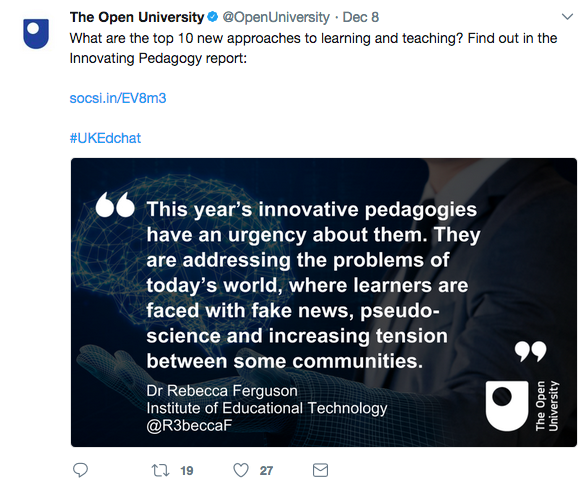 On 7 December 2018 we launched Innovating Pedagogy 2017. This is the sixth in a series of reports that explores new forms of teaching, learning and assessment. It is the first of the series on which I have been lead author, taking over from Mike Sharples who initiated the series and remains an author. This year, the report was produced by The Open University in collaboration with the Learning In a NetworKed Society (LINKS) Israeli Center of Research Excellence (I-CORE). 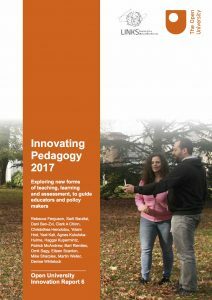 All the Innovating Pedagogy reports are released under a Creative Commons licence and can be downloaded free of charge. 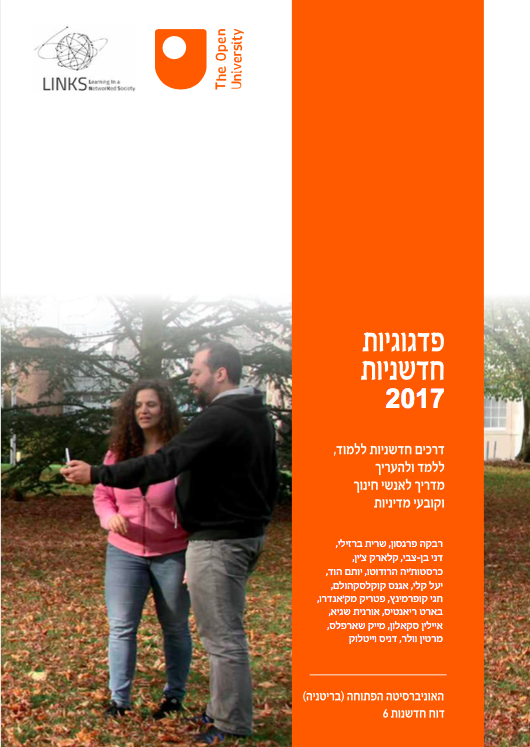 Our fellow authors at LINKS worked on a translation, and a Hebrew version of the report is now available to download from the Innovating Pedagogy website. This entry was posted on April 4, 2018, 3:43 pm and is filed under Educational Futures, Publications, Reports. You can follow any responses to this entry through RSS 2.0. You can leave a response, or trackback from your own site.